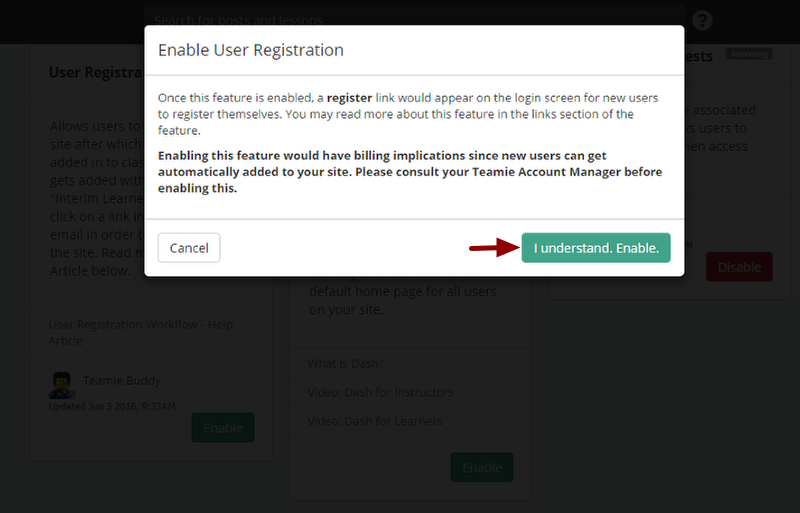 Teamie now allows users to register directly onto any Teamie site with the help of the User Registration feature. 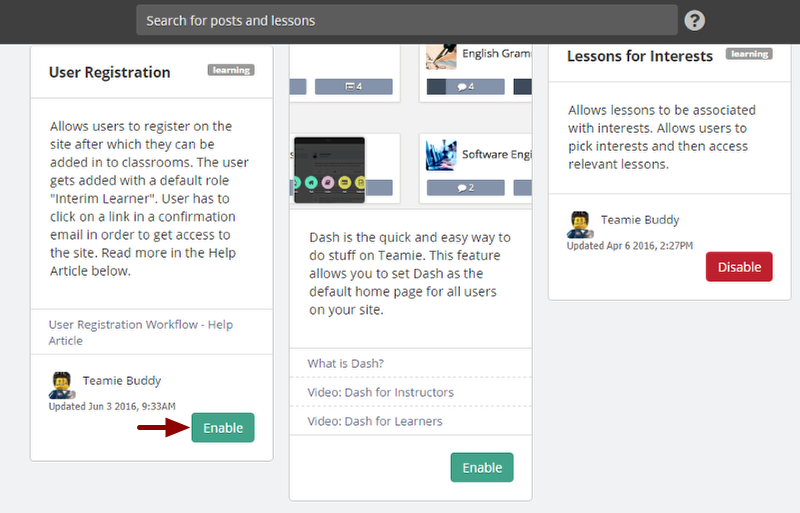 Once this feature is enabled on your Teamie site, users will be able to register on the site and will be assigned a site­level role of “Interim Learner”. Interim learner will have the same permission as that of the learner level role. User registration is an optional feature and can be enabled by the site administrator. Let's see how you can enable it on your Teamie site. Note: As this feature will have billing implications, and we definitely don’t want our clients to be billed unfairly, therefore we have created it as an optional feature and as an administrator you can enable and disable it at any time from the Manage Optional Features page. Kindly keep this in mind and consult your Teamie account manager before enabling this feature. 2. 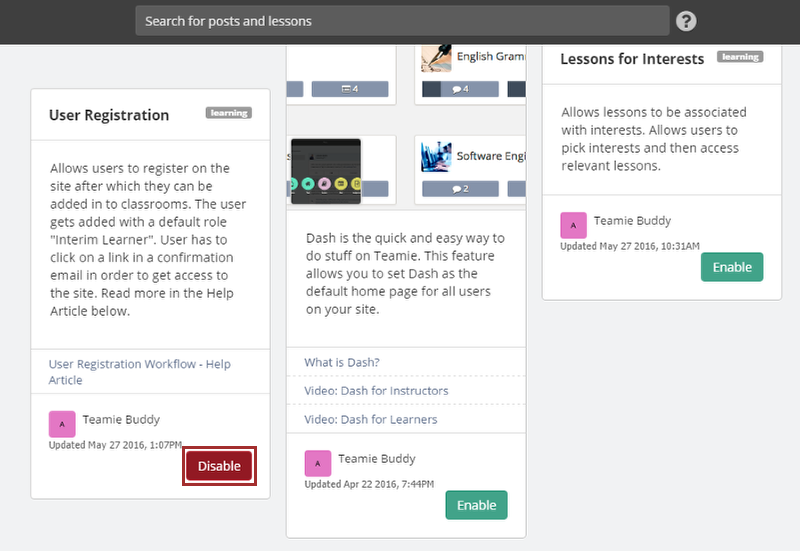 Under Manage Teamie section, click People Manage Optional Features. 3. 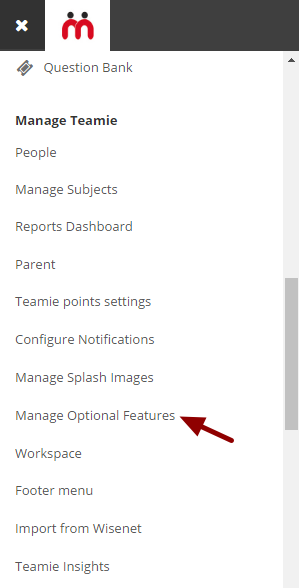 You can see a list of all optional features on the Manage Optional Features page that you can be enable or disable anytime from the UI. 4. On the User Registration block, click Enable. 5. A confirmation message appears. Click I understand, Enable. 6. The 'User Registration' feature will be enabled on your site. If you wish to disable this feature later, click Disable and the feature will be disabled. 7. 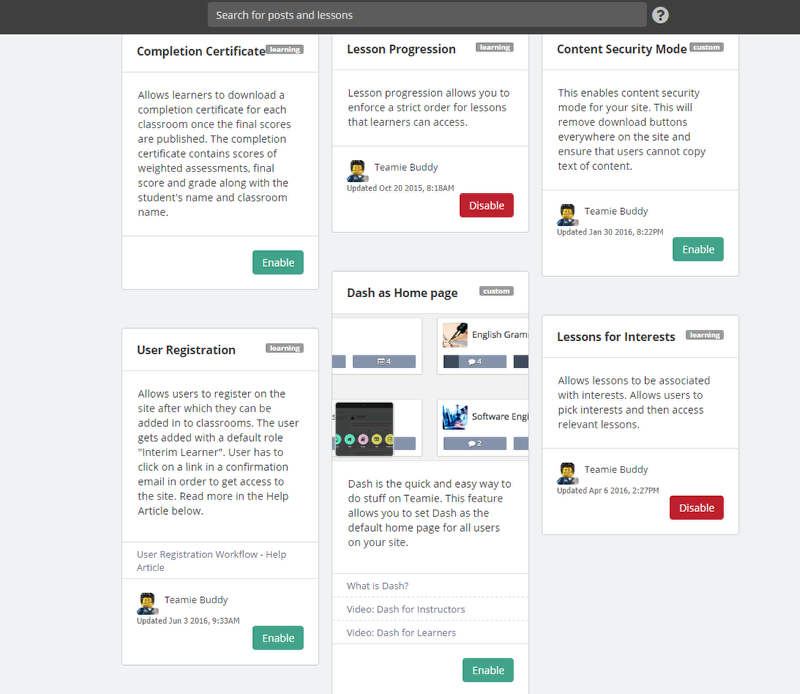 So from now onwards, users will see a Register link on the login page of your site through which they can enroll to your Teamie site as an 'Interim Learner'. 8. Once the user is registered successfully, he/she will be assigned the role of 'Interim Learner' by default.